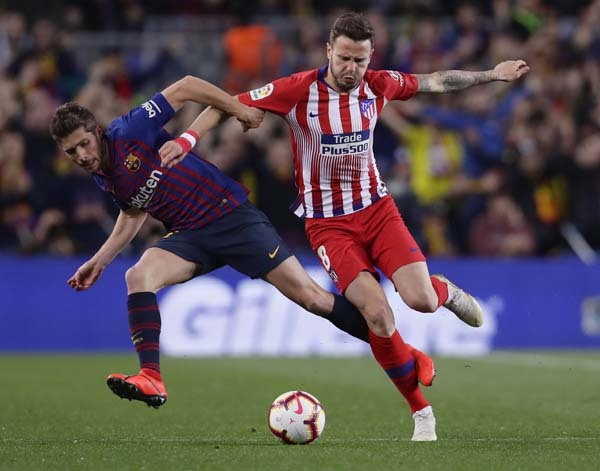 Atletico midfielder Saul Niguez (right) and Barcelona midfielder Sergi Roberto (left) vie for the ball during a Spanish La Liga soccer match between FC Barcelona and Atletico Madrid at the Camp Nou stadium in Barcelona, Spain on Saturday. Luis Suarez and Lionel Messi scored twice in two minutes as Barcelona broke the resistance of 10-man Atletico Madrid on Saturday to go 11 points clear of their La Liga title rivals. 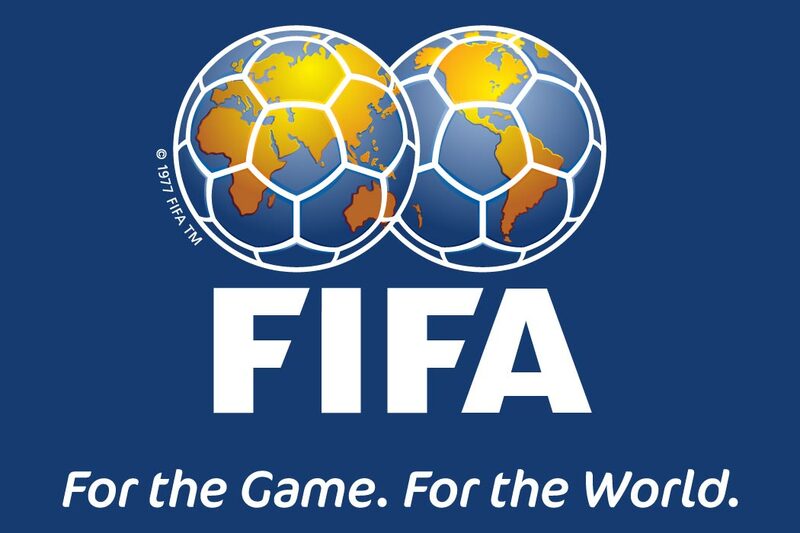 Suarez intervened with a superb long-range strike in the 85th minute, before Messi added a second in the 86th. The pair have now scored 53 league goals between them this season while for Messi, this was a record 335th La Liga victory.